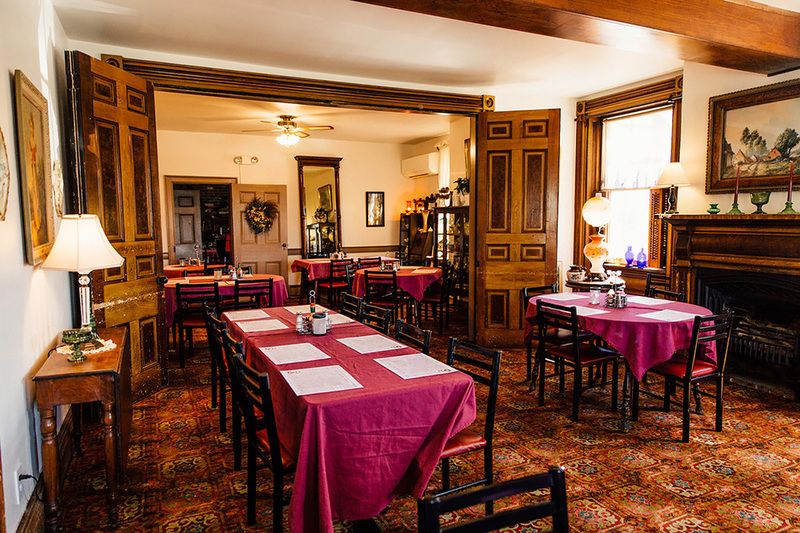 Finished in 1848 by John Fowler, Drovers Inn required three years of skilled craftsmanship to build its three floors and sixteen original rooms. 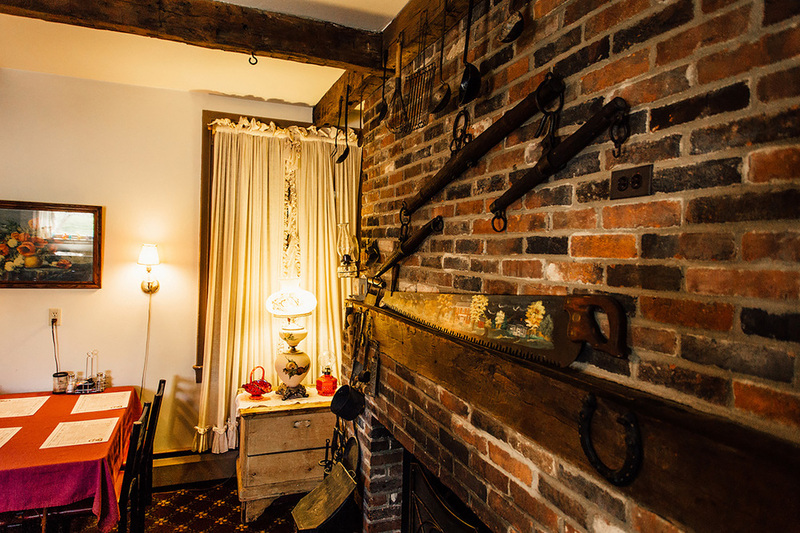 Around 1850, Mr. Fowler opened up the inn to travelers and drovers who were moving their goods along the toll pike. At Drovers Inn they could expect to receive food for themselves, green pasture for their accompanying livestock, and a bed to rest upon. The inn served this purpose for many years. It was purchased by Mary Marko in 1965 and the restoration of the aging brick and wood structure began. 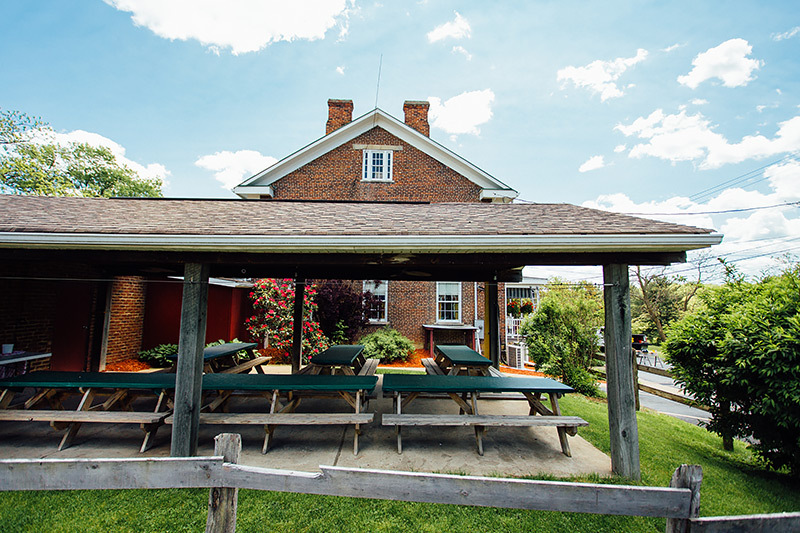 The inn was then converted into a restaurant in 1967 and was purchased and reinvigorated by its current operator and owner, Mark Cooper, in 1986. 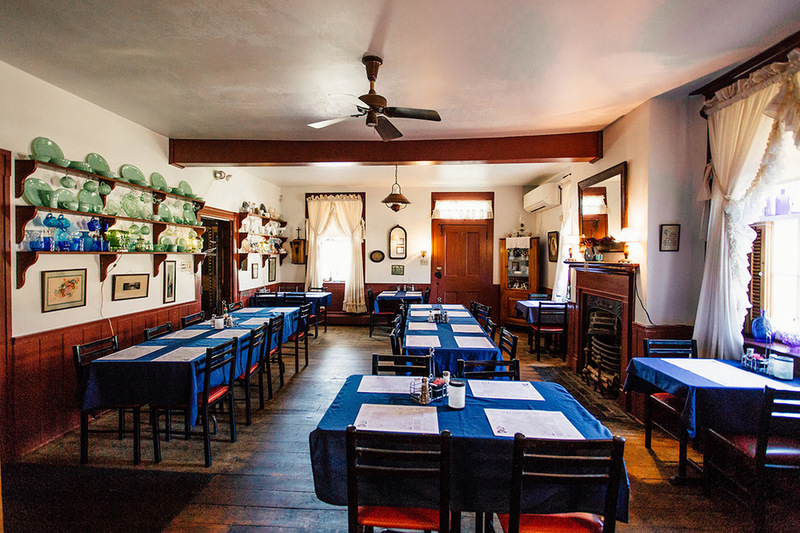 Drover's Inn houses four dining rooms: the Blue Room, Red Room, Sitting Room, and the Back Section. 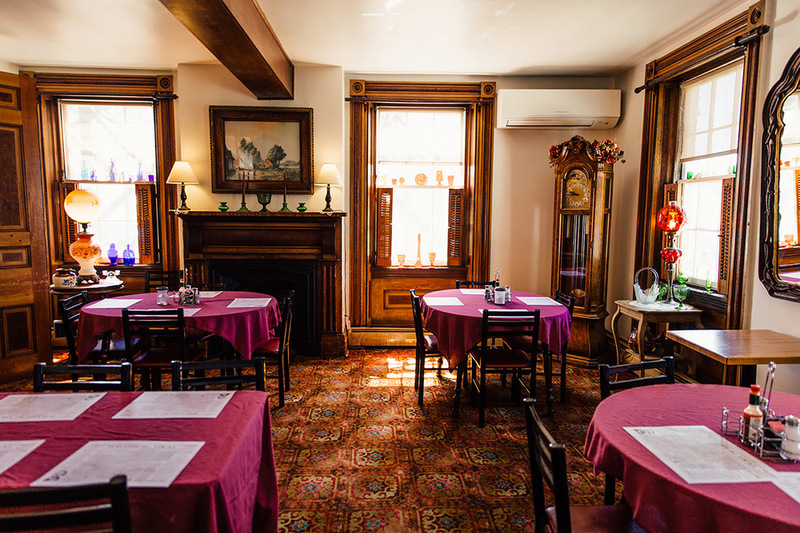 The Blue Room comfortably seats 32 and houses an antiqued fireplace. 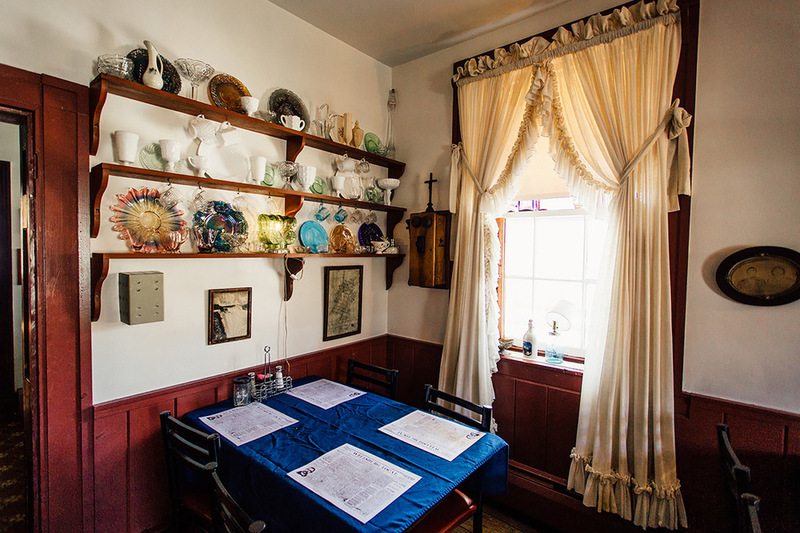 Customers in the room can admire the colorful glasswork and various reminders of an older time. 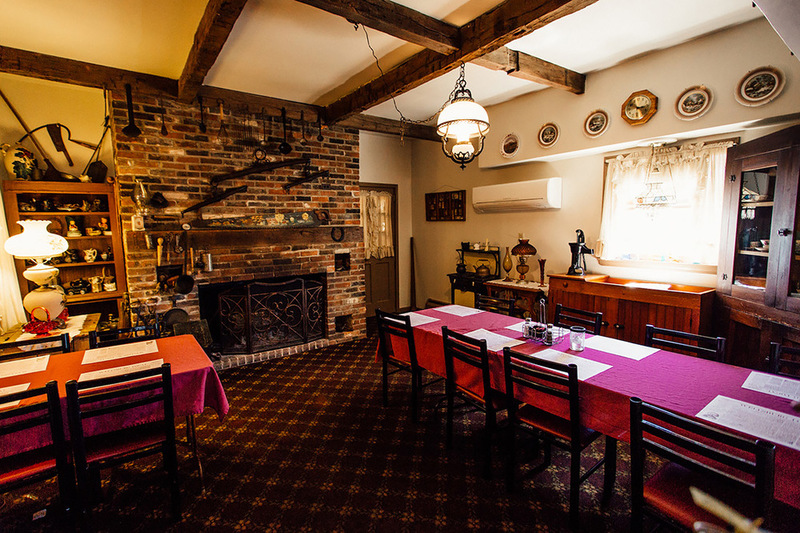 The Red Room houses tables for up to 36 cozy persons and features another fireplace, as well as some old furniture retained from the inn's younger days. The Sitting Room, with its piano and running fireplace, makes a great location for private parties. It seats a maximum of 14 and holds within it a number of instruments one would find in a turn of the 20th century kitchen, such as an old gas stove, a well water pump, and beautiful china. The Back Section of the restaurant was completed in 2003. It holds 36 customers and on its walls reside famous 60's and 70's magazine covers that recall nostalgia and important events. 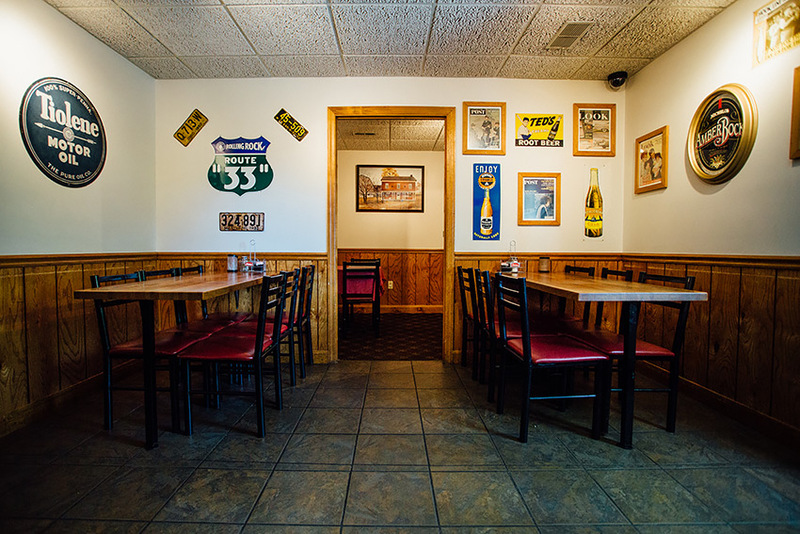 This room also has two televisions for sports fans and the younger crowd to enjoy while eating. Also completed in 2003, the service bar (in the right side of the above picture) is fully stocked to provide a legal beverage to those waiting for a table or to-go order. In warmer weather, a pavilion with six tables accommodates large parties or anyone who wishes to enjoy the sunshine while dining.